" any and all leaks have stopped. This product is wonderful. Highly recommended "
" This has been a great addition to my mask. I didn't have much for marks and my face stayed dry. " 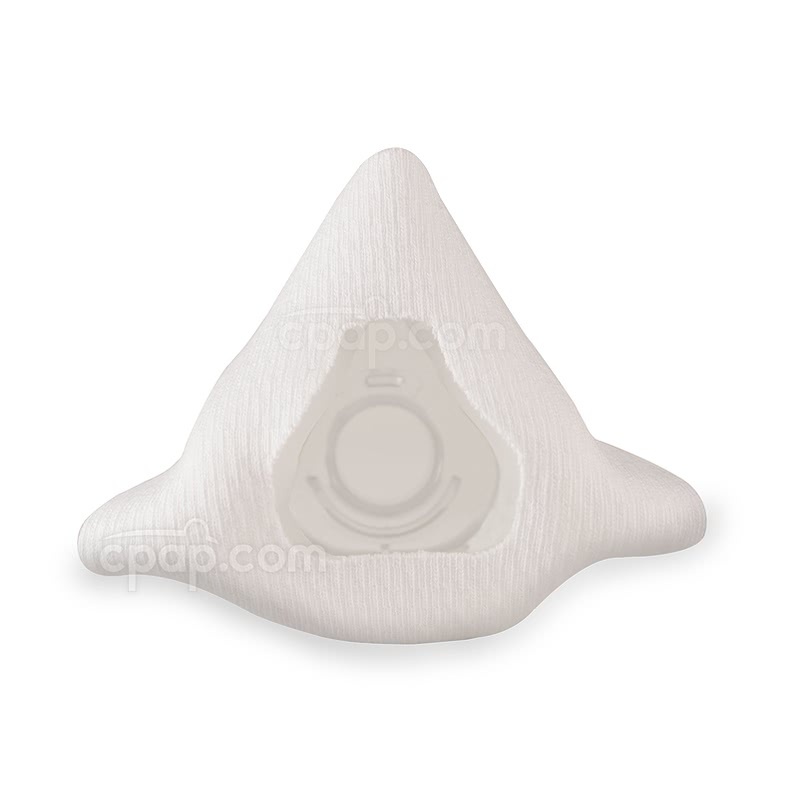 Silent Night Nasal CPAP Mask Liners are designed to help prevent air leaks and pressure marks. The liners are "One Size Fits Most" and fit a majority of nasal masks. The Micro Pillow™ fabric protects the skin from moisture accumulation, firm mask lines, and sores due to an overtightened mask. To keep its position throughout the night, Quick Stick™ adhesive tabs were integrated into the unique design of the liner. Each liner lasts between six to eight days, so this pack of four is expected to last about a month. 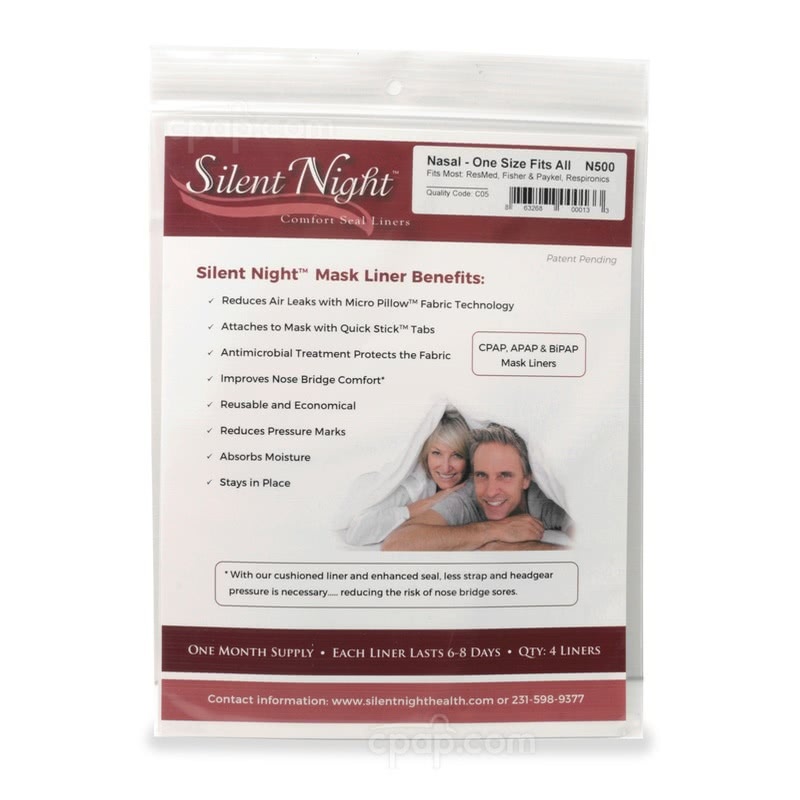 Nasal CPAP Mask Liners by Silent Night are engineered to protect the skin from the harsh lines of a mask. Strong, woven fibers create the barrier, while 3 sets of innovative Quick Stick™ tabs adhere to the exterior of the mask to help maintain the placement of the liner during sleep therapy. Quick Stick™ tabs are attached to the mask liner to aid in securing the liner to the mask. The non-toxic, adhesive tabs are found along the rim of the liner just above the curve of the cheek. Gently lay the material over the cushion of the mask and attach the tabs to the mask frame. The mask liner is intended to keep its position throughout the night, helping reduce leaks and improve comfort. If adjustments are needed once the liner has been placed on the mask, the Silent Night Nasal CPAP Mask Liner is designed to re-adhere consistently within the six to eight day time period. The user may lift and re-position the tabs. The Micro Pillow™ fabric is a strong, textured material with a soft touch. The fibers are designed to block moisture that may accumulate during sleep therapy. This opposition to moisture is intended to protect the user's skin, while also providing liner longevity and curl resistant edges. These thin, yet sturdy liners act as a barrier between the skin and mask, and are expected to create a seamless seal, removing the need for tight headgear. July 2015 Update: The nasal liner has been updated with three sets of the non-toxic Quick Stick™ tabs. 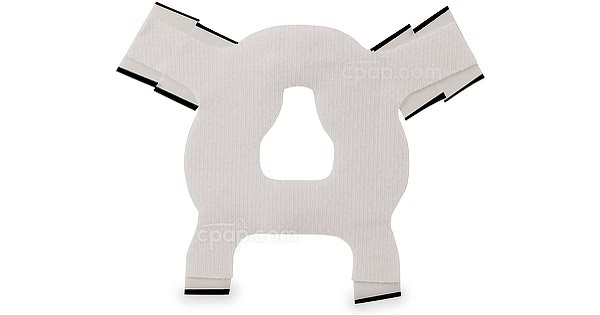 The two sets of tabs attached to the top of the mask liner are designed to secure the liner around the upper rim of the cushion and mask frame. The smaller tabs found at the base of the liner maintain the placement of the top tabs while increasing the liner's hold on the mask. Also added was a curvature in the nasal cutout. The bridge of the nose slides into the slim shape, while the widening shape of the cutout allows the nose to consume the area. The shape of the cutout is designed to keep the material from moving into the user's eyes. Lightly secure the adhesive to the side of the mask frame. If needed, adjust the liner by lifting the tabs. 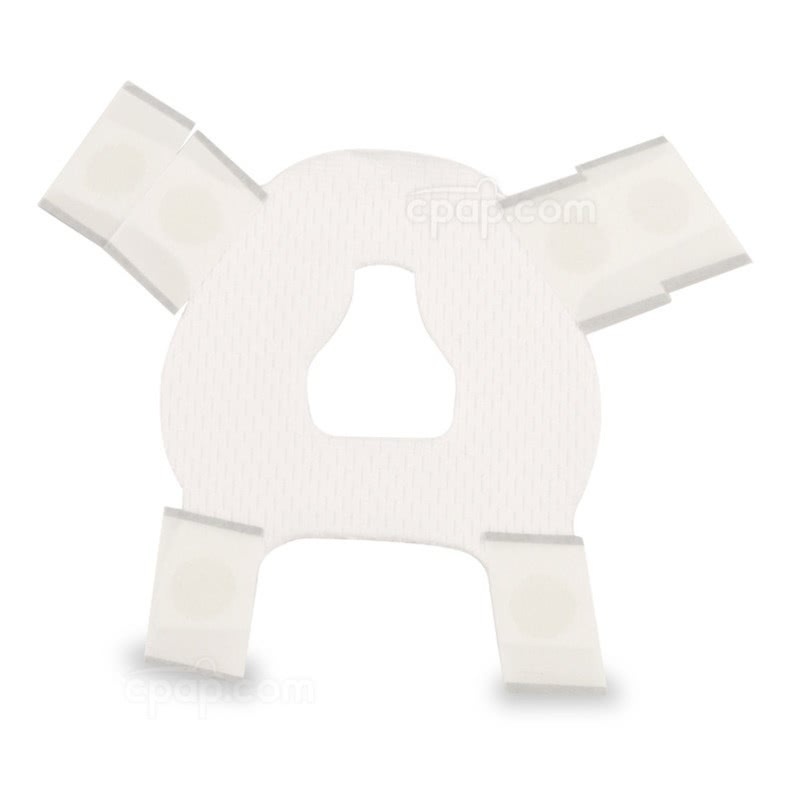 Four liners are included within each package of Silent Night Nasal CPAP Mask Liners. By using one liner per week, it is anticipated the package will last about a month. The Silent Night Nasal Mask Liners can be removed each day to clean the mask. The liners are engineered to resist curling and provide a strong bond, allowing the liner to be re-applied to the mask within the six to eight day range of time. The liners themselves are not designed to be cleaned and should be discarded after six or eight days of use. 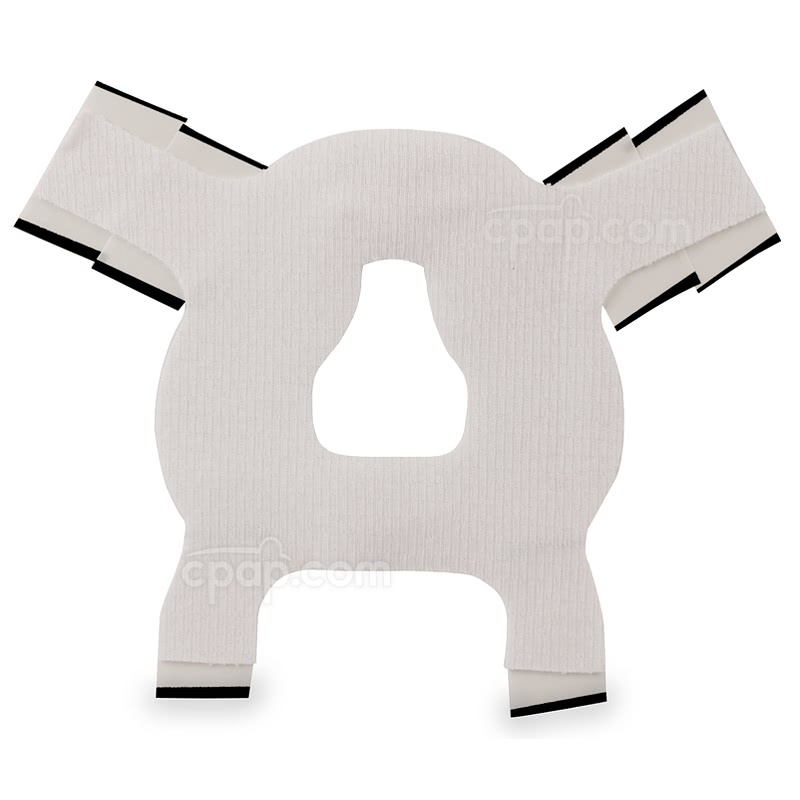 The Nasal CPAP mask liners are offered as "One Size Fits Most," and the liners fit the majority of nasal masks. Please Note: The Silent Night Nasal CPAP Mask Liners are not compatible with full face masks, nasal pillow masks, and hybrid masks.